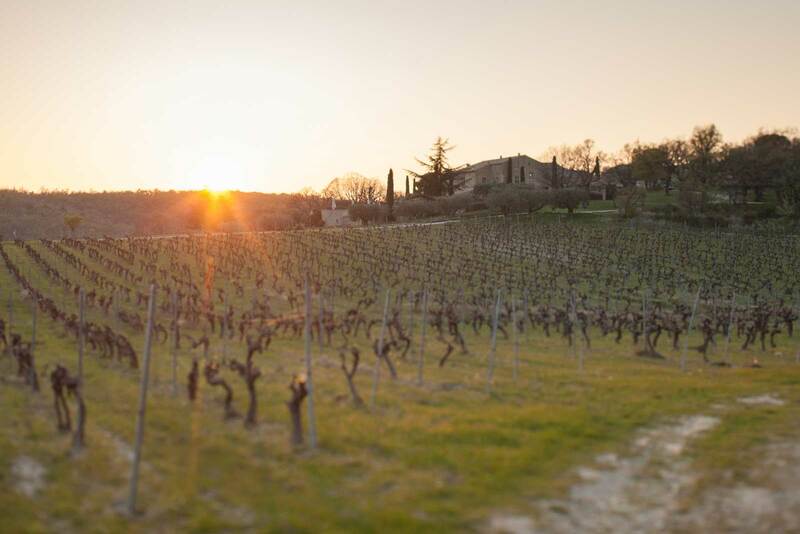 Squinting into the distance with Grenache vines surrounding me, it appeared that Mont Ventoux — the so-called “Giant of Provence” — was still draped in a thin veil of snow, even in early April. To my right, the Dentelles de Montmirail grinned against a cobalt sky. Bird song filled the air. It is rare to find such complete natural beauty on display in Europe. You might witness a dramatic mountain, a broad river, or an idyllic forest, but the presence of humankind is always there, tipping the scales toward civilization: a cable car, a barge, a castle. 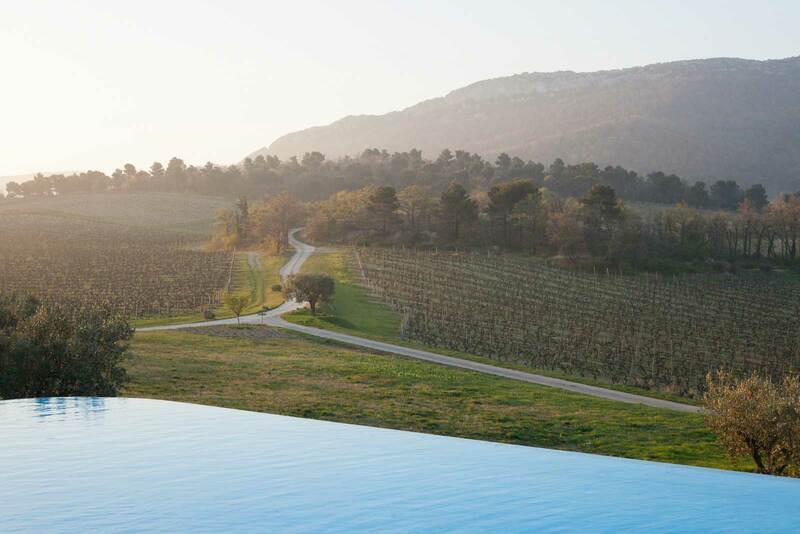 At Chêne Bleu — a remote winery in the South of France — you are enveloped with nature. It’s not wilderness, but it feels pretty close to Eden. These vineyards have a terroir unlike any other in France. First of all, they are situated at a climatic crossroads where high-altitude mountain air pierces the warmth of southern France. Underneath the vines lies a complex soil structure, the result of the African tectonic plate heaving against the southern edge of the European plate. The Dentelles de Montmirail are the visual evidence of this phenomenon, looking like a stony bookshelf above the forest. I was here to make sense of this unique place and its wines. Later in the day, Nicole Rolet — the locomotive engine who drives the estate’s ambitions — would encourage me to take soil samples from their vineyards and test the pH level. She would offer a blending seminar so I could see how Grenache, Syrah and Viognier play together. And along with her winemaker — Jean-Louis Gallucci — she would give me a tour of their gravity-flow winery. And we would sustain ourselves on fresh produce from the estate’s potager garden. But for the moment, I was doing more important work. I was drinking in the scenery, inhaling the smells of spring, and focusing on the symphony of bird song. 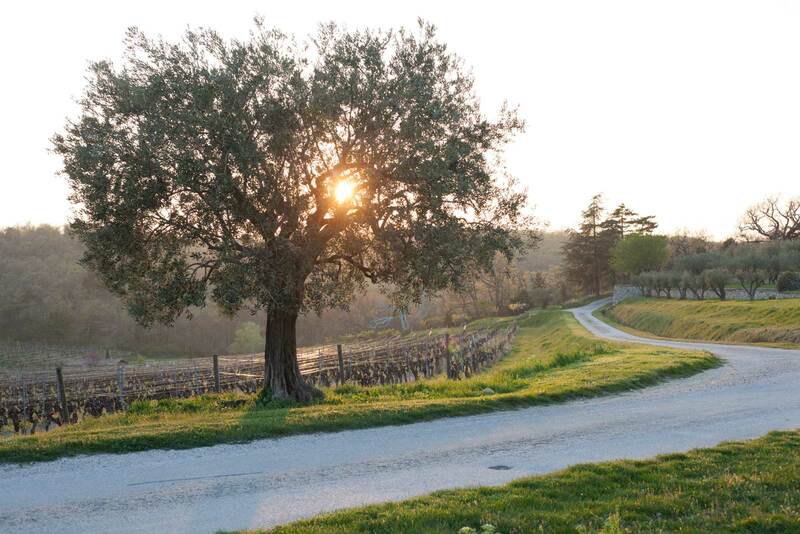 From that moment forward, any wine from Chêne Bleu would conjure visions from this peaceful morning. Impartiality may have been hopelessly lost. I was fumbling for context from the very start. Where are we? Is this technically the Southern Rhône or Provence? (it’s a bit of both). 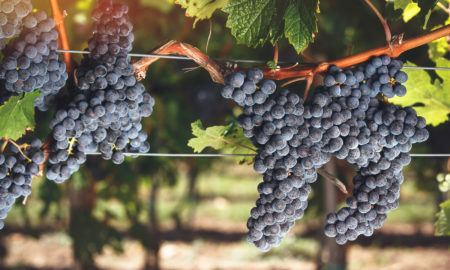 Is your Grenache blend your flagship wine, or your Syrah blend? (They both are). 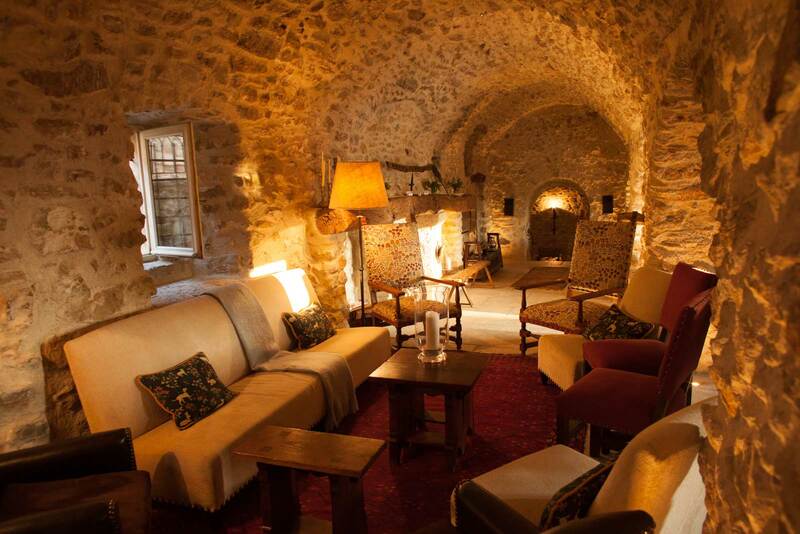 Are you a winery with a luxury inn attached, or a luxury inn with a winery attached? (The former). Can we have something light for dinner? I just got here from Burgundy. (Of course). But perhaps the most pressing editorial question was about identity. Despite straddling the appellation boundaries of Côtes du Rhône, Côtes du Ventoux, Séguret and Gigondas, Chêne Bleu had opted out of all of them. 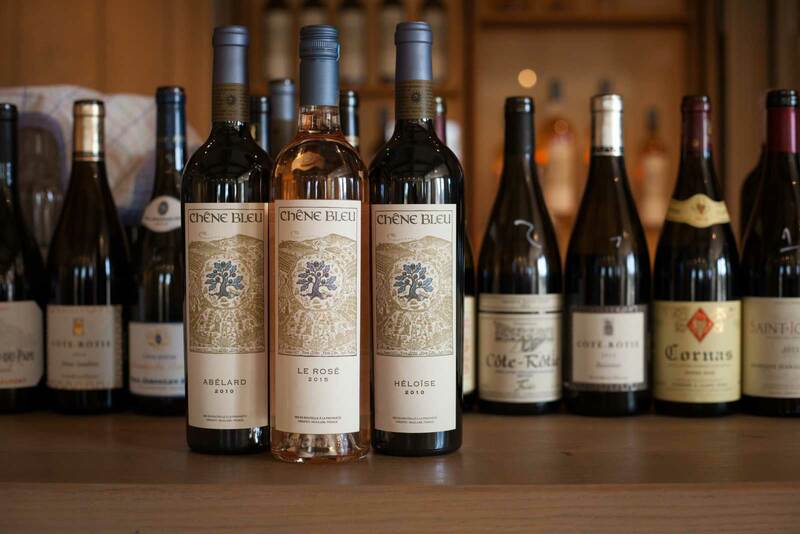 Were they aiming to make wine by their own rules because of creative freedom, or because Chêne Bleu’s terroir demanded it? 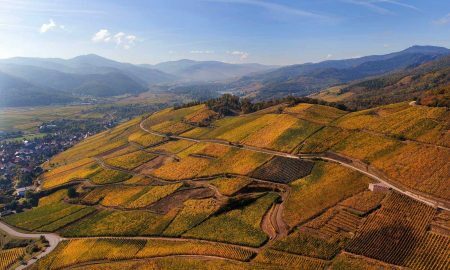 Neighboring wine estates were largely downhill and separated by quite some distance, so the property’s remoteness certainly suggested an individual terroir drove their decision. Why force the wine into a box where it didn’t belong? The reds would wait until the second day. It was late, I’d come a long way from Beaujolais, and that light dinner I requested was a better match for their Viognier, which they gladly poured. Highly aromatic like all Viognier are, Chêne Bleu’s version plays a little sleight-of-hand trick with its texture. Upfront on the palate, I could have sworn it was viscous and almost sticky, but the finish was so clear and clean, it was actually quite the opposite: dangerously refreshing. And it begged yet another question: what about your white wines? Wine always tastes better when you are sipping it in the vineyard of its origin. 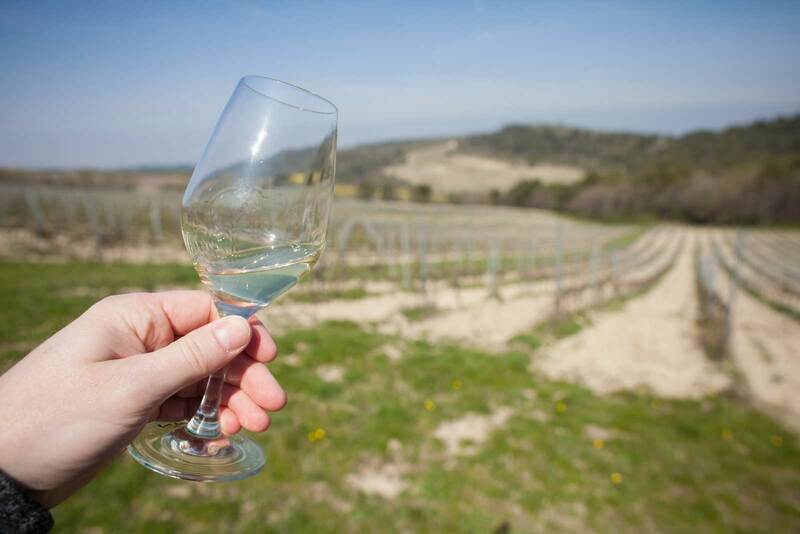 I don’t need a scientific study to tell me that the fresh air, the scenery and the context of the wine’s story all contribute to an enormous bias in the wine’s favor. Try as I might to be objective, I couldn’t help but write ★★★★★ in my notebook when Nicole presented us with a glass of Chêne Bleu’s Aliot the next morning. We were standing above a broad slope of arid land that was striated with Viognier, Grenache Blanc, Roussanne and Marsanne vines of varying age. A little bit of each grape went into the bottle, with Roussanne accounting for the majority. For me, every button of sensory pleasure that a white wine can push, was pushed with this wine. It was intensely aromatic, but it a way that spoke to the surrounding nature: it recalled oranges, honey and tarragon. It had a changing character as it moved from front to back, with a smooth textural feel that made it glide across the palate. I won’t lie: despite the early hour, it gave me visions of roasted chicken. 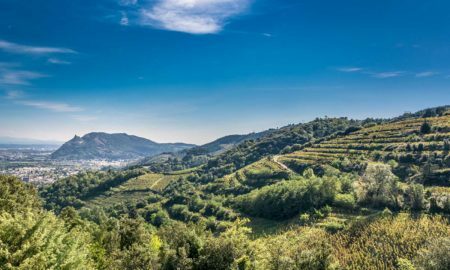 So much of the conversation surrounding Southern Rhône wines swirls around the reds, yet I find that my palate is more intrigued with the whites. 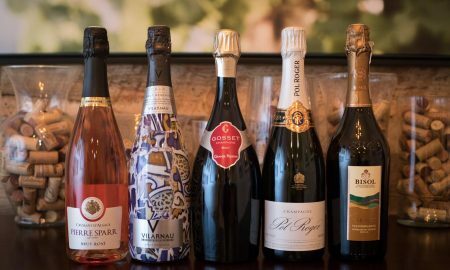 When someone says they prefer red wines to white wines (a simplistic notion that, yes, even I still sometimes say), I think what they are really saying is “I prefer wines that feel complete.” Unfortunately, so many of the world’s white wines are missing that extra something to make them memorable. You sip it, you enjoy it, but you’ll never be able to remember why it was any different than thousands of other white wines. 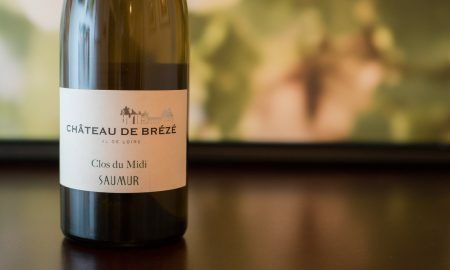 Southern Rhône whites — typically a blend of Roussanne, Marsanne, Viognier, Grenache Blanc and/or Clairette in varying percentages — have a roundness and complexity that scream for attention. Their beauty lies not only in their deep orange-fruit flavors, but a crystalline finish that makes them an easy match with a variety of foods. 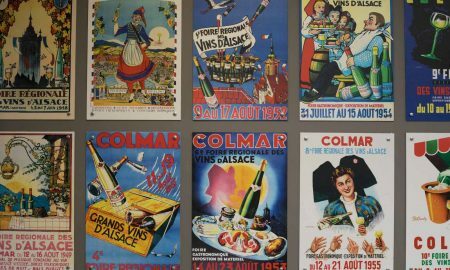 And yet, only six percent of wine production in the Southern Rhône region is devoted to these white wines. A month after my visit, I still feel that Chêne Bleu’s best wines are their two whites. Nicole talked extensively about the soil in the vineyard — how, in her opinion, the wines reflected a “mineral cocktail” from the various levels on history in the soil. 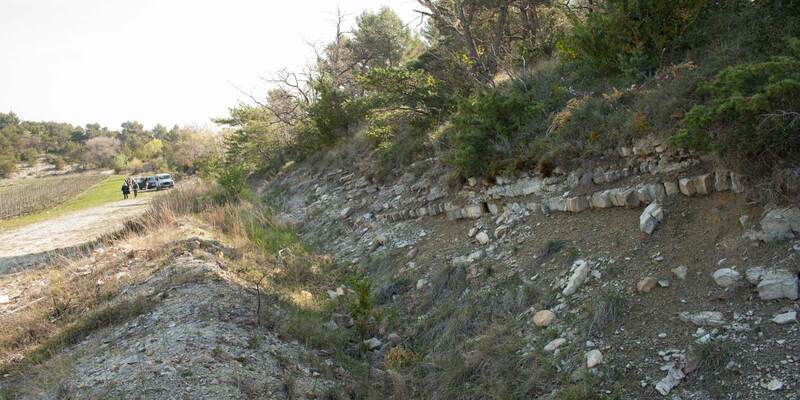 Just upslope from the blocks of Viognier, Grenache Blanc and Roussanne, there was a break in the hillside. Encouraged by news of fossils, a few of us hunted around, and sure enough, we soon found a near-perfect imprint of a prehistoric mussel. An adjacent rock formed the other part of the puzzle. Chêne Bleu Fossil from Kevin Day on Vimeo. “Can I take this home to my kids?” I asked Nicole. 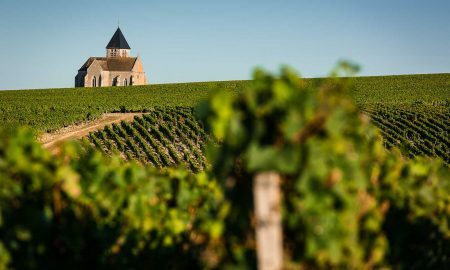 It is romantic to think that prehistoric seashells in the soil can lend a briny quality to wine (as it is so often said about Chablis). Whether that’s true or not, it probably doesn’t matter. But what I found myself embracing was the role these fossils played in the soil’s narrative. It’s complexity was undeniable, as was the slippery quality of Aliot and the sleight-of-hand from the Viognier. It wasn’t just the mountain air; something special was going on. Over the course of my two-day visit, anything involving wine, food or accommodation seemed possible, yet there was no mistaking how much hard work went into making it possible. The story of Chêne Bleu begins with Xavier Rolet, a Frenchman who has made a big mark in the world of finance (he is currently the CEO of the London Stock Exchange). In 1993, he came upon a run-down estate in the South of France. The property was so dilapidated and overgrown, that no one had expressed interest in it for 20 years. His first offer was accepted, and he went to work. “Fixer upper” would be a drastic understatement. The priory was largely in ruins (and filthy, too, with years of sheep manure burying much of the floor). The vineyard had become feral, but he was encouraged by what locals had said — those old vines used to make really nice wine. It would take a decade for the estate to be fully rehabilitated. The main farmhouse — which they call La Verrière — now offers lavish accommodations, an intimate dining area (served by a full kitchen staff) and a beautiful plunge pool. The impressive gravity-flow winery on the hill behind the farmhouse is sparkling clean and modern. 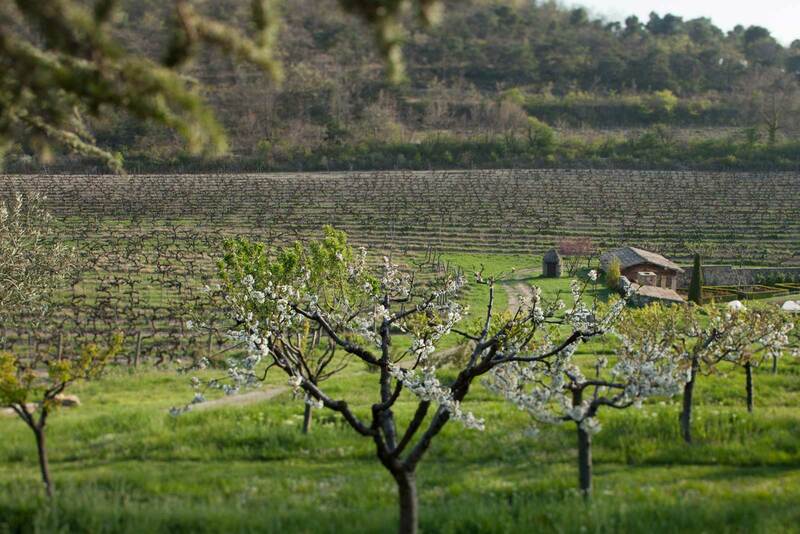 Down the hill and surrounded by vines, one finds an immaculately garden. It is clear to any visitor that none of this would be possible without a great deal of financial resources and even more sweat equity. Much of what Chêne Bleu has become stems from Nicole’s tireless work. She, too, was in finance, but in 1994 — shortly before marrying Xavier — she took a year off to study winemaking. That hiatus turned into a new career. As I toured the property with her, it quickly became apparent that she drives the estate’s ambition. One moment, there is talk of her Extreme Wine Course, which gives wine professionals a five-day intensive crash course on all-things winemaking. The next moment, she is speaking of symposiums they have hosted at the estate, like the one they devoted to Grenache. 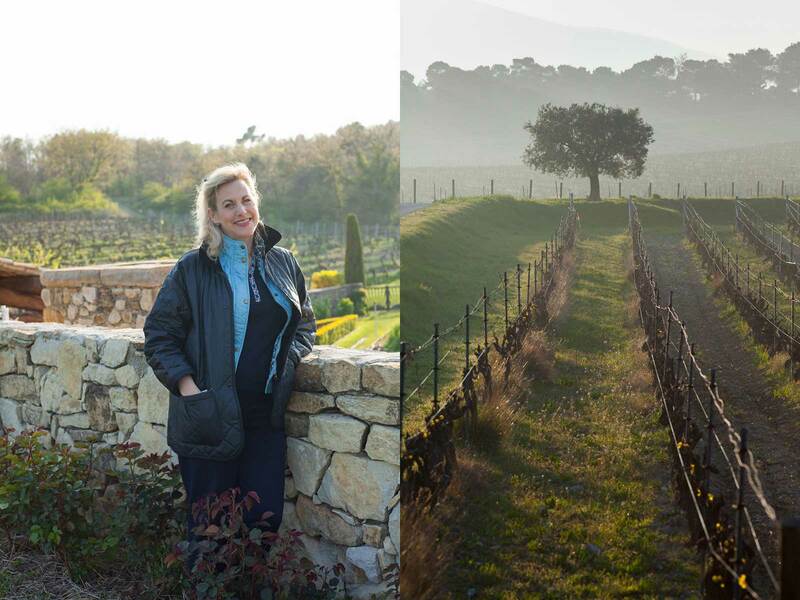 To make sure Chêne Bleu gets the most from its terroir, she has brought in two of the world’s most esteemed eonologists as consultants — Zelma Long and Philippe Cambie. But if one thing surpasses her ambition, it would be her intellectual curiosity with nature. 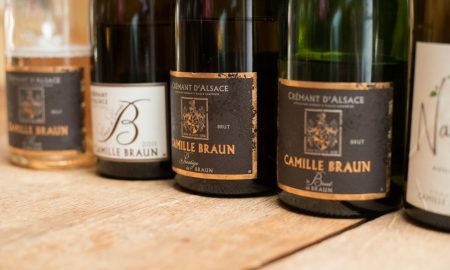 The estate is biodynamic, but beyond that, Nicole seems to find genuine thrills in enabling nature to police the estate. Just downslope from the garden, she shows me where they have utilized the natural drainage of the vineyards to create a mud wallow for the forest’s resident boar population. “It keeps them out of the vines,” she noted. They have also created an apiary, which Xavier maintains when he retreats to the estate from London. The propolis made by the bees is frequently harvested and sprayed on certain vineyard blocks as a natural protectant against bacteria and viruses. 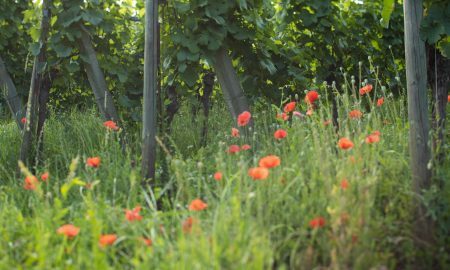 Still, the commitment to letting nature lead the way is tangible when you are among the vines. As their guest, I took full advantage of wandering the rows just so I could photograph the bud break, smell the aromas of grass, and watch for birds. As the early spring sun was beginning to set, I ran into winemaker Jean-Louis Gallucci by the front door. 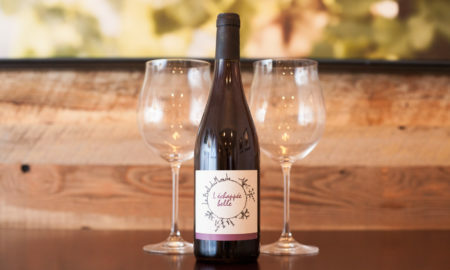 For Jean-Louis, it must have been just another busy day: juggle a group of writers, collaborate with Zelma Long, barrel-taste the latest vintage. And yet, when I came upon him, it seemed like he was simply making time to enjoy the serenity of evening. I told him how enamored I was with Chêne Bleu’s natural beauty. 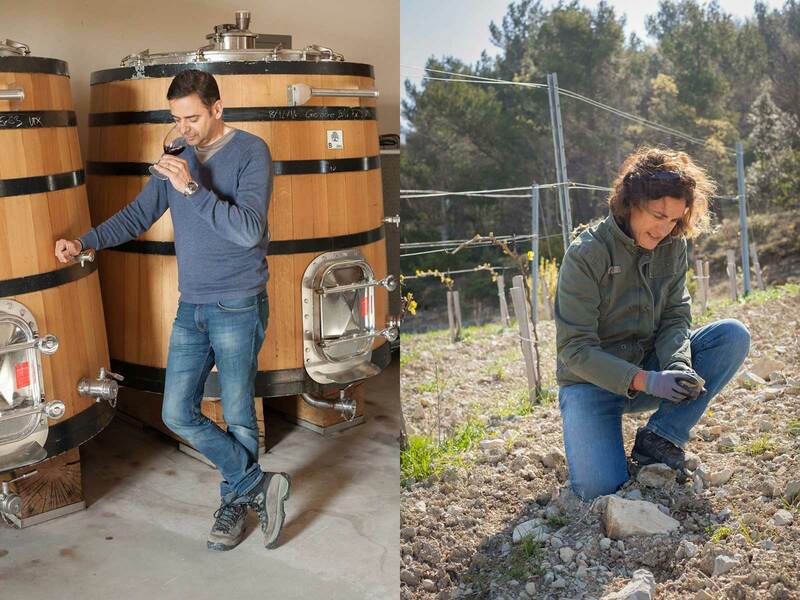 Impressions: From the start, Chêne Bleu has named its signature red wines after the famous couple from the Middle Ages, often referred to as “France’s Romeo and Juliet.” But its overly simplistic to call Héloïse (the one that is a majority Syrah) the more feminine of the two. Of the three different vintages of Héloïse that we sampled, I liked the 2007 best. While the tannins certainly persist after 10 years of aging, they are wonderfully polished, creating a smooth texture that allows the wine’s majority Syrah to shine through with notes of dark plums, blackberry and walnuts. Impressions: A counterpart to Héloïse, Abélard is Grenache-centric, and in each of the three vintages we sampled, it packs a wallop. Like the 2007 Héloïse, I liked the 2007 Abélard best as well — perhaps not because of the vintage, but rather because 10 years feels like the optimal maturity of this wine. Aromas reminded me of raspberries, rocky ground after a rainstorm, and even a bit of licorice. Densely concentrated, this wine stands up best on its own. Impressions: My favorite wine from Chêne Bleu. A beautiful, natural expression of the Southern Rhône with aromas triggering thoughts of oranges, honey and tarragon. Like a prima ballerina on the palate, gliding from front to back smoothly and effortlessly. A remarkable finish. Top notch. Impressions: Viognier is black and white for my palate: it is either stunning, or cloying. It’s rarely anything in between. This one is a stunner. What I found remarkable about it was its shape-shifting. I had the pleasure of a glass on the first night, and another on the second day, and while it was clearly the same wine, each glass spoke to me differently. Aromas brought to mind lemon drop-candy, pineapple, sesame seed and herbs. Plays a few sleight-of-hand tricks with texture. I found that the longer I let it sit on the palate, the better it got. An intense wine. Impressions: A classic Provençal rosé, with a touch of wildness to it. 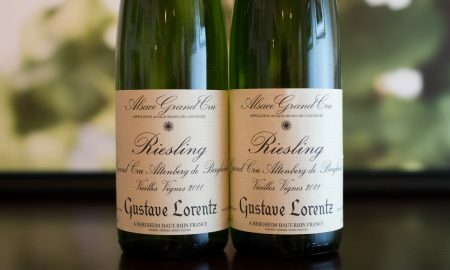 A little closed on the nose at first, it eventually yielded aromas recalling oranges, stone fruit, jasmine and ginseng. A touch of minerality on the finish makes it a delightful summer sipper. Chêne Bleu is located in the UNESCO Mont Ventoux Biosphere Reserve. As Jean-Louis noted, the area is rich with butterflies, boasting more than 1,400 different species. But as you can see in this video clip, its the birds who make their presence known the most. At dawn and dusk in early April, it was a symphony of birdsong. Chêne Bleu Bird Song from Kevin Day on Vimeo. Note: My visit to Chêne Bleu was part of a press trip coordinated by Wilson Daniels, who imports Chêne Bleu into the United States. Learn more about our editorial policy.